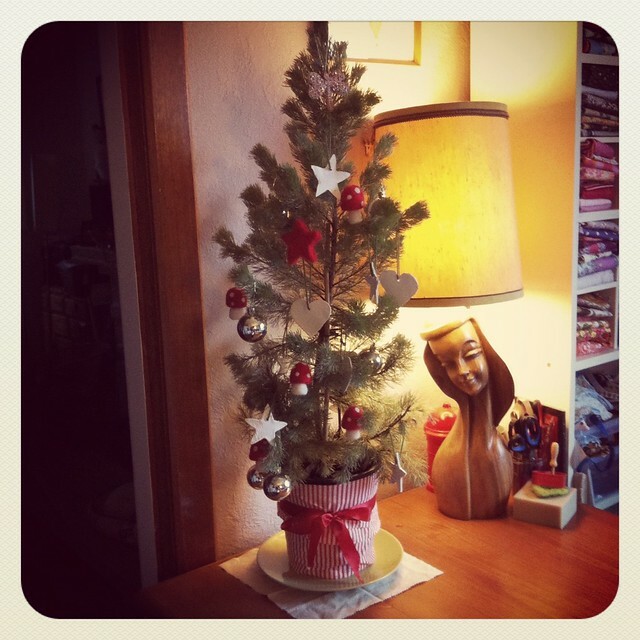 Tonight we decorated our tiny tree. It's small enough to fit on the table out of reach of Tiny's hands until Christmas morning. It's also soft and fluffy enough so she can touch it without much problem when it is within reach. And a native, so we can plant it in the garden when the festive season is behind us. 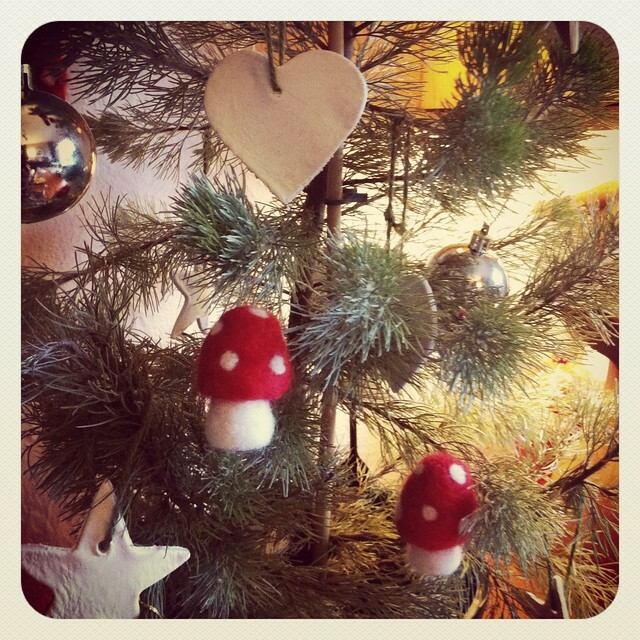 We placed last year's handmade ornaments with this year's needle felted toadstools and Big Owlet's felted star. On top of the tree is the beaded dragonfly given to us by a friend to top Big Owlet's first tree, which was similarly tiny. Here's hoping that along with the street party and neighbourhood santa truck tomorrow, we wake up feeling festive and excited about the week ahead. I am actually equal parts excited and daunted at the Christmas craftapalooza awaiting me and the time promised to work on it... Wish me luck! It's been a ridiculously full on year for so many reasons, I hope you get a chance to slow down and that there are some festive sparks to lighten up the coming week. I am sure you'll find 'your' festive somewhere. hope that payment got to you safely and I'll see you (in blog world) well into the new year.